We will cover the key tax changes announced in the Chancellors’ speech and break down the main implications that can affect you, your business and your plans for the future. Want to know the key points from the Budget? Watch our insightful Budget 2018 video below with Tax Director, Androulla Soteri and two of our Tax Partners, Nigel May and Patrick King. This review outlines the key points from the Chancellor’s speech and what to look out for in your financial plans for the year ahead. Structures and Buildings Allowance introduced at a rate of 2% per annum on new non-residential structures and buildings where all contracts for the physical construction are entered into on or after 29 October 2018. Effective, and back dated to 22 November 2017, Stamp Duty Land Tax relief for first time buyers is extended so that all qualifying shared ownership property purchasers can benefit. In addition to current requirements on share capital and voting rights, in order for shareholders to qualify for Entrepreneurs Relief, they must also be entitled to at least 5% of the distributable profits and net assets of the company. Tax free personal allowance rising to £12,500 and higher rate threshold increasing to £50,000, one year earlier than planned. Capital allowances special rates reducing from 8% to 6%. Minimum qualifying holding period for disposals of Entrepreneurs relief qualifying investment to increase to 24 months from 12 months. Annual Investment Allowance will increase from £200,000 to £1m per annum for two years. 2% digital services tax on revenues linked to UK users for large digital firms such as social media platforms, search engines and online marketplaces. Reform of the IR35 off-payroll working rules for the private sector to be delayed until April 2020 and small organisations to be exempt. Employment allowance reform to target support to smaller business; the government will restrict access to employers with an employer National Insurance Contributions (NIC) bill below £100,000. Widened eligibility for the Short Term Business Visitors Pay As You Earn special arrangement and extended deadlines for reporting and paying tax. Corporate capital loss restriction to be introduced to bring rules in line with treatment for income losses. Lettings relief to be reformed such that it only applies where the property is in shared occupancy with the tenant. The final period exemption will reduce from 18 months to 9 months for Principal Private Residence relief. Enhance Capital Allowances for technologies on the Energy Technology List and Water Technology List to end. The amount of R&D tax credit that a qualifying loss-making company can receive in a tax year will be restricted to three times the company’s total PAYE and NIC liability for that year. For companies in liquidation, where HMRC is a creditor in relation to VAT, PAYE income tax, employee NICs and Construction Industry Scheme deductions, the payment priority status will move higher up the ranks. 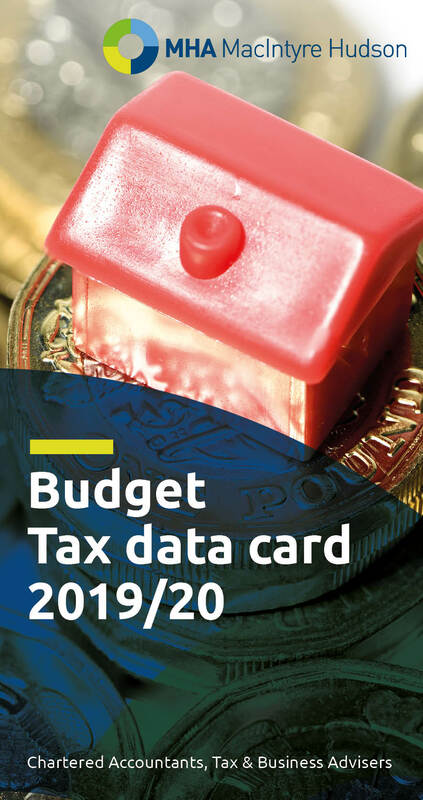 We have also produced our popular Summary Report and Tax Data Card for the 2018 Budget. Download these essential guides outlining the Budget’s main points and key tax deadlines. Did the Budget cover what you expected it would be? We will be running seminars, which will give you an opportunity to hear our further reaction from the Budget plus deeper analysis of the tax issues. The seminars will also give you a chance to pose questions to our Tax Partners about how the Budget will be affecting you. 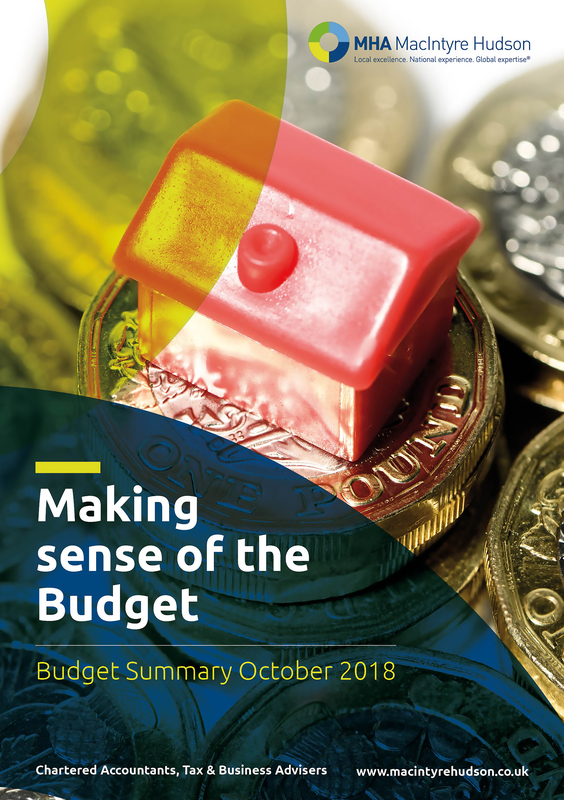 On the run up to the Budget, we published key insights into several tax issues that may be included in this year’s Budget, providing you valuable technical knowledge and opinion to help your business plan for any outcome. The tip of the iceberg? - Can we expect to hear more details about the ban on employers from withholding tips in this year's Budget? Entrepreneurs’ Relief - How much is it costing? We offer a complete range of tax services covering both tax compliance and tax advisory. Our teams help entrepreneurs, individuals, businesses and professional firms in all areas of tax legislation. Our team keep up to date with the latest tax issues and regulations; we can help you navigate any tax issue that may be affecting your business. So why not get in touch today, before Budget Day, to discuss how we can help you execute your plans. Insights - ‘The era of austerity is finally coming to an end’…. But what did the 2018 Budget mean for tax policy? Insights - The Effects on Agriculture?